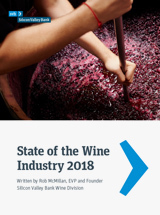 Rob McMillan, EVP and founder of Silicon Valley Bank’s Wine Division, writes one of the wine industry’s most authoritative annual reports that assesses current conditions with street-level intelligence, and provides a unique forecast based on micro- and macroeconomic and behavioral trends. 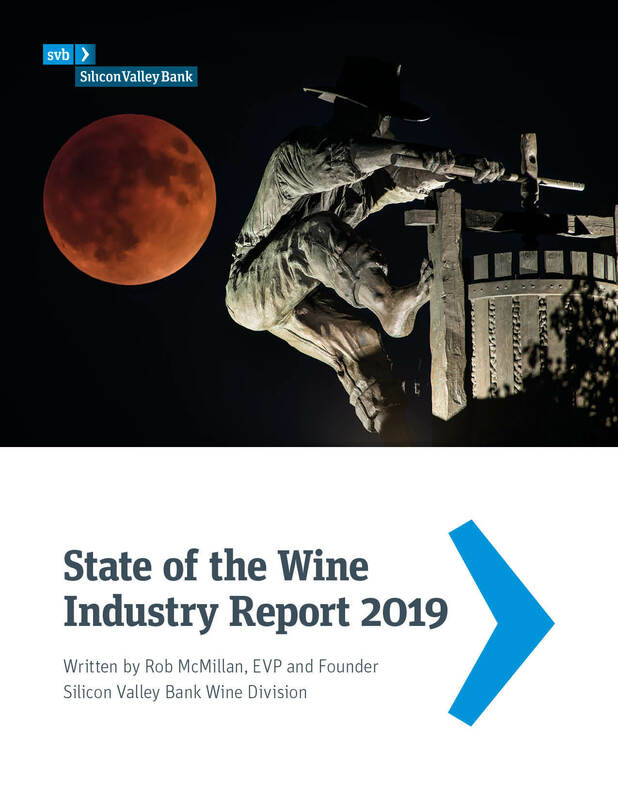 In this report, Rob suggests the current business conditions are quite similar to the early 1990s when the boomers made their retail presence obvious, driving record wine sales for 25 years. We should expect the huge millennial generation, all over 21 years of age now and moving into their careers and higher-spending years, to do the same — but we are seeing the opposite. 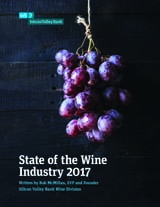 The wine industry’s sales growth has been muted for the past several years and is now close to moving into negative territory for the first time since 1993. Millennials aren’t yet embracing wine consumption as many had predicted. Damaged financial capacity is a major component, but cannabis legalization and a cumulative negative health message surrounding alcohol have combined to temporarily stall the growth and adoption of wine among young consumers. Baby boomers, who still lead in total wine purchases, are moving into retirement, adjusting to living on a fixed income and declining in both their numbers and per capita consumption. bottle – will grow in the range of 4 to 8 percent in 2019, roughly flat from the 2018 sales growth estimate. For the off-premise retail store channel, dollar sales will grow between 0.5 percent and 2.5 percent, while volume sales will grow between negative 0.5 percent and positive 1.5 percent. Both volume and dollar sales growth will end lower than 2018. The M&A cycle is approaching a natural end and will noticeably slow in 2019 as many of the major buyers continue to digest earlier purchases and execute on new brand strategies. Bottled imports will take additional market share from US producers. Grape and bulk prices will noticeably drop in the California market in 2019. Overall retail pricing should be flat for premium wine as the industry works through sluggish volume growth and a slight surplus of wine. 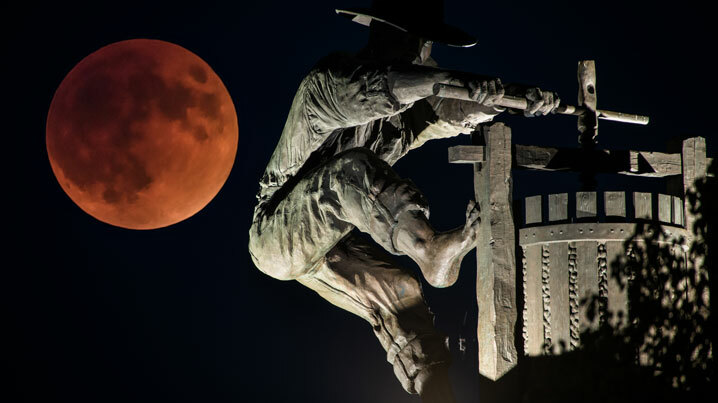 Oregon will be the bright spot regionally as consumers continue to find consistently good value in the region’s offerings. The report findings were discussed in a January 2019 videocast featuring Rob McMillan. 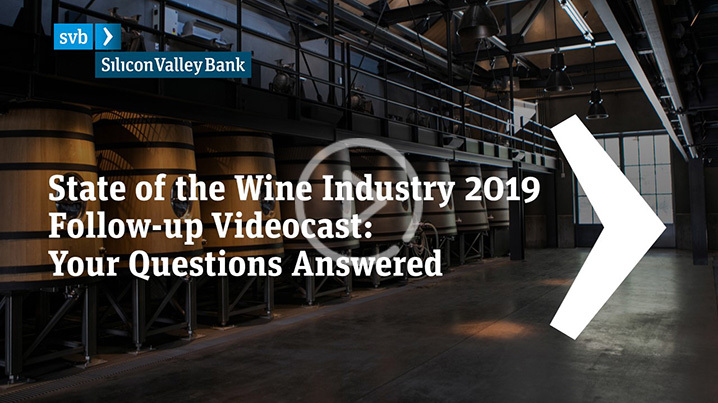 Industry experts joining him were Amy Hoopes, president of Wente Family Estates, Dale Stratton, vice president of commercial insights at Constellation Brands and Paul Mabray, CEO at Emetry. Following-up on our live videocast, the panel takes to questions from our audience and continues the conversation from the first hour videocast. Premium wineries are still showing modest growth and profitability. That’s the good news. Total volume of off-premise US wine sales has tipped into negative growth territory for the first time since 1993. While baby boomers are showing longer-than-expected buying strength and still hold the largest market share of wine consumption, millennials are disappointing expectations by not growing their share of the market as wine consumers. Millennials tend to prefer craft beer, craft spirits and cannabis – but have the lowest share among the cohorts for wine. With the oldest millennials now 37 years of age, will they adopt wine like prior generations? Founded in 1994, SVB’s Wine Division offers financial services and strategic advice to premium vineyards and wineries. 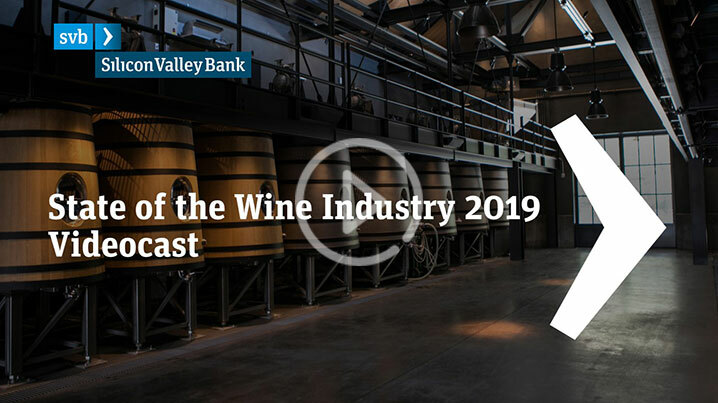 With one of the largest banking teams in the country dedicated to the wine industry, SVB’s Wine Division has offices in Napa and Sonoma counties and primarily serves clients in the fine wine–producing regions along the West Coast of the United States. ©2019 SVB Financial Group. All rights reserved. SVB, SVB FINANCIAL GROUP, SILICON VALLEY BANK, MAKE NEXT HAPPEN NOW and the chevron device are trademarks of SVB Financial Group, used under license. This material, including without limitation the statistic information herein, is provided for informational purposes only. The material is based in part on information from third-party sources that we believe to be reliable but which have not been independently verified by us, and for this reason we do not represent that the information is accurate or complete. The information should not be viewed as tax, investment, legal or other advice, nor is it to be relied on in making an investment or other decision. You should obtain relevant and specific professional advice before making any investment decision. Nothing relating to the material should be construed as a solicitation, offer or recommendation to acquire or dispose of any investment or to engage in any other transaction. Silicon Valley Bank is not selling or distributing wine or wine-related products. 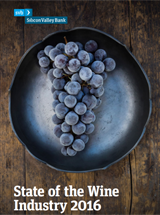 Through the online informational platform, SVB Cellar Selections, Silicon Valley Bank provides material to employees about a variety of premium Silicon Valley Bank winery clients and their wines. These communications are for informational purposes only. Silicon Valley Bank is not responsible for (or a participant in) the sales of any wineries’ products in any fashion or manner and makes no representations that any promotion or sales of alcoholic beverages will or will not be conducted in a lawful manner. Further, Silicon Valley Bank disclaims any responsibility or warranty for any products sold by wineries or other wine industry service providers.